Today, I'm hopping with the folks at Spellbinders and Avery Elle! My first card pairs the Spellbinders Diamond Effects dies with Avery Elle's Be Jolly Stamps to create a fun colorful holiday card! The large panel die from the Exquisite Labels 11 set is just a smidge smaller than an A2 card front and makes the perfect frame for any stamped scene. For fun, I backed the entire panel with a sheet of patterned paper from the Avery Elle patterned paper Everyday Collection. I love the way the paper peeks out of the diamond design and adds just a little bit of color! Before I go, I want to share one more quick project that I made using the Spellbinders Exquisite Labels 11 dies and Avery Elle Avery's Alpha dies (that's a mouthful;)! 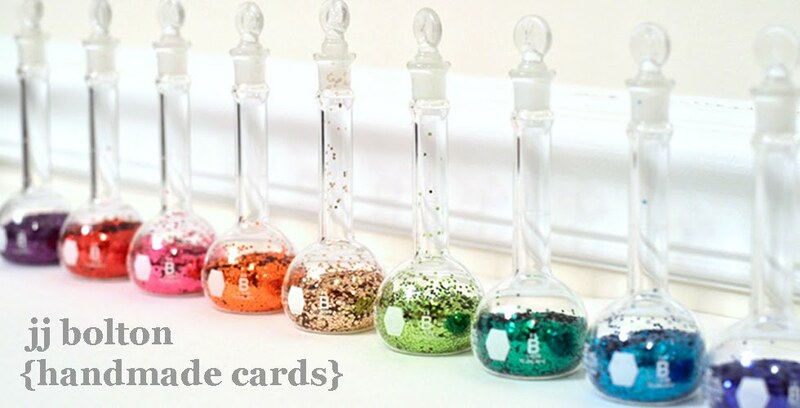 I'm always looking to see how I can pair up dies or stamps to create new, custom combinations. The AE alpha dies happen to fit perfectly into the smallest dies of the Spellbinders set. I backed each reverse cut with a bit of red glitter paper and then used foam tape to adhere them to the card front. To keep the focal point on the die cuts, I kept the background a crisp white. It really lets the delicate die cuts shine, don't you think? Thanks so much for stopping by! Don't forget to leave some comments for chances to win some fun prizes! 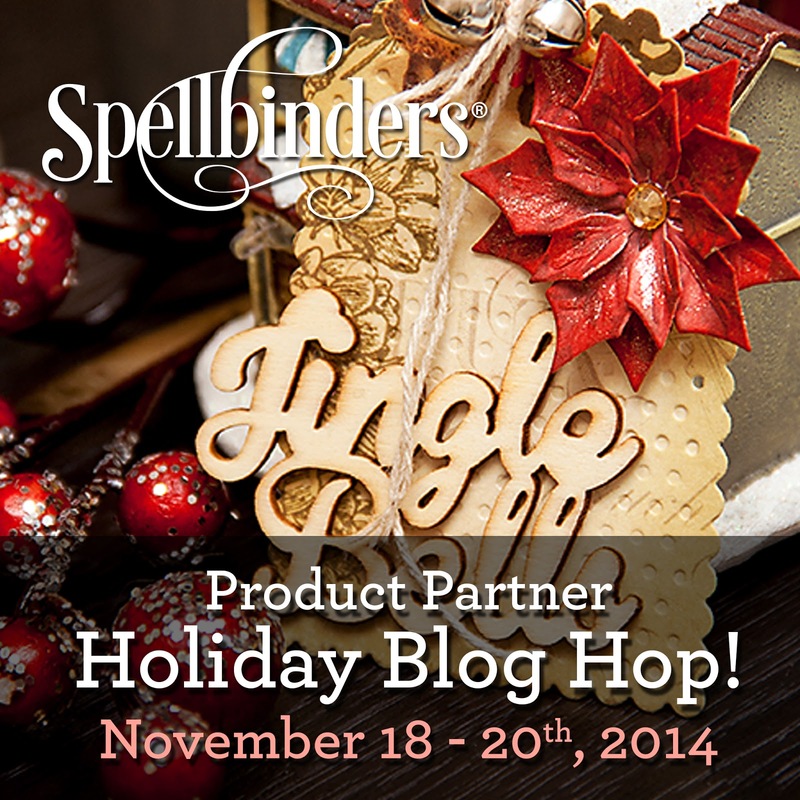 Check out the Spellbinders community blog and the Avery Elle blog for details! I'm so glad I'm following the blog hop and it leading me to your blog. I love both cards. You've given me so many ideas! Thank you so much! 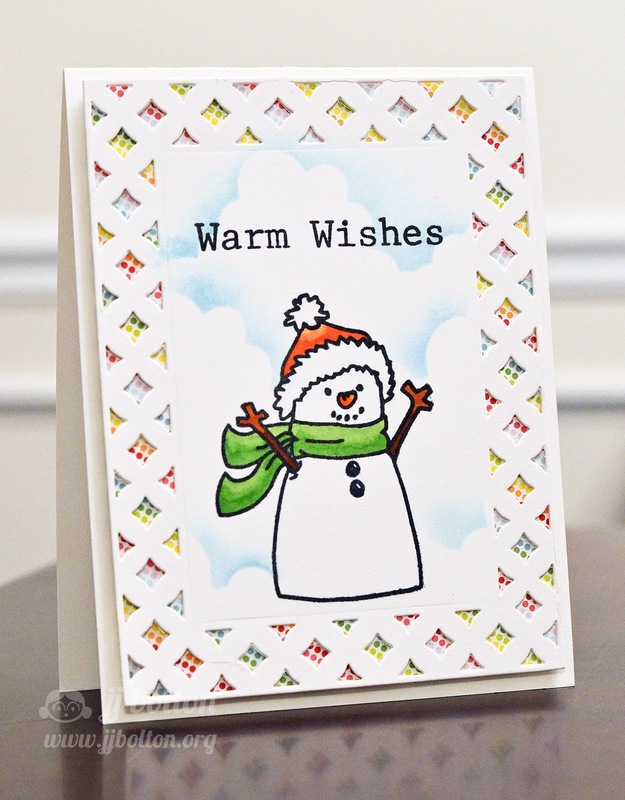 Love your cards...what a cute snowman!!! And the second card is amazing so beautiful and elegant and creative!!! I just love the gold and red on NOEL. What an simple but beautiful card. TFS. SUPER CUTE and SIMPLY STUNNING cards JJ!!! LOVE them BOTH => THANK YOU for sharing your CREATIVE INSPIRATION and RECIPES FOR CRAFTY AWESOMENESS!!! Beautiful just beautiful both cards. I have to admit I really love the snowman card with the die and that paper peeking through, so pretty and very eye appealing. Beautiful projects - really a contrast between the two. I love the colorful fun image of the snowman and that beautiful background you created. I think I need this die set too! Didn't know AE had paper either where have I been? Oh goodness, I love that panel and the die used on the snowman card. I'm pretty sure I need this! 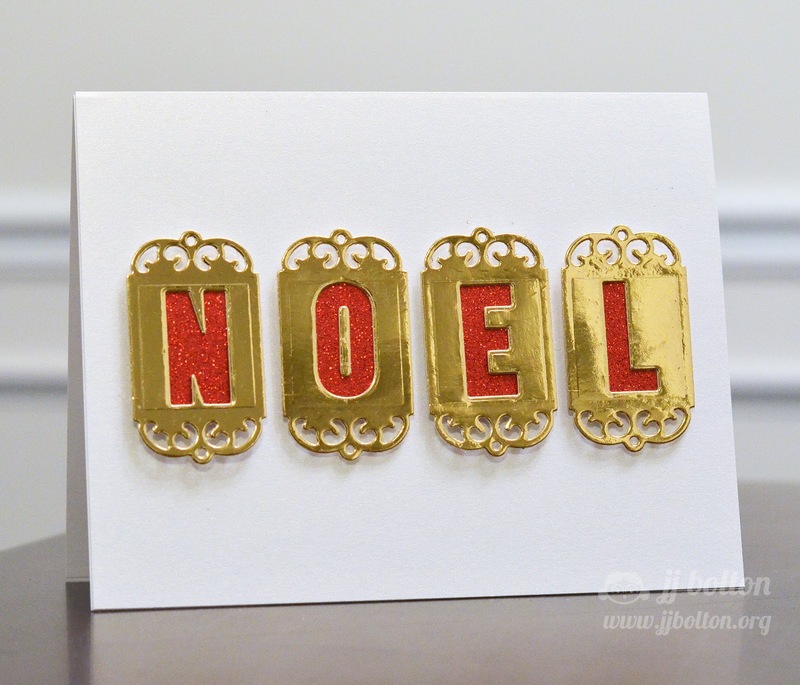 Stunning cards, great cuts on the Noel card. Both cards are wonderful: one is sweet and colorful and the other one is elegant. Lovely. Oh JJ....I love them both! The paper behind the snowman card is perfect....and the Noel card is very elegant...both winners! I am in love with that snowman and your 2nd card is so elegant! I love see your creations! Like the lattice look with colors in background. Like the stylish gold NOEL. I love both of your cards, but that snowman wins my heart! I'm loving both of your cards! The Snowman has to be my favourite though!! I love that Spellbinders die. 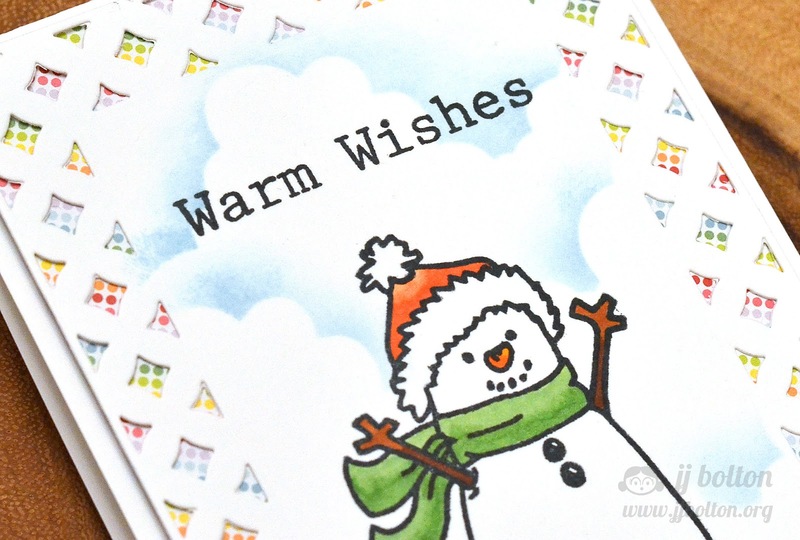 Your snowman card is so darn cute. I love the light touch of color through the die cut. Amazing cards, LOVE the snowman and that die cut frame is so pretty! Great cards - love the snowman on the first and the CAS look of the second. Oh JJ...you have really out-done yourself today! I love the pretty papers you placed behind the diamond panel die cut and your coloring is just beautiful! Your 2nd card is absolutely STUNNING! I love the gold foil paper with the red glittery alphas...so elegant! Two amazing Christmas cards!